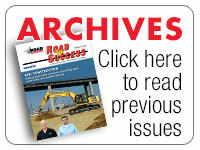 Click on the links below to read previous issues of the Road to Success magazine. 2017 No. 2 - Double D Pipeline, Inc.
2016 No. 2 - Rango, Inc.
2016 No. 1 - Ground Breakers Construction Inc.
2014 No. 3 - Zaccor Companies, Inc.
2013 No. 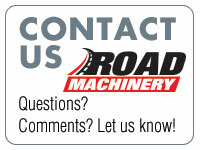 3 - FHI Plant Services, Inc. | R&B Equipment, Inc.
2013 No. 2 - Diamond D General Engineering | Bray Construction, Inc. and Bray Mining & Materials, LLC. 2012 No. 4 - Broadway Metal Recycling | Blount Contracting Inc.
2012 No. 2 - RDL Excavation & Construction | Environmental Remediation Services Inc.
2010 No. 3 - Heavy Equipment Rentals | Arizona State Utilities, Inc.
2007 No. 3 - Ace Services Inc. | Otto Trucking, Inc.
2007 No. 1 - Dirt Artist, Inc. | Star Pavers Construction, Inc.